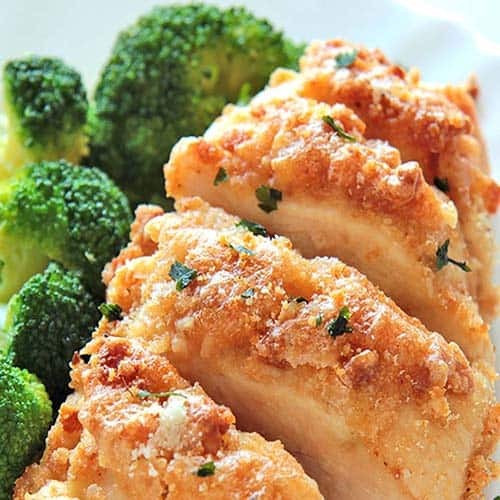 A low carb- keto diet never looked so good with these 9 delicious chicken recipes. One thing that’s great about being on the keto diet is the delicious cheese, the cream, and the meats. Remember that the keto diet is low in carbs high in fat with moderate protein so adding that cream and butter makes the recipes even tastier and on the diet. When you are on a diet sometimes it’s hard to come up with good recipes and ideas for dinner that your family will love too. 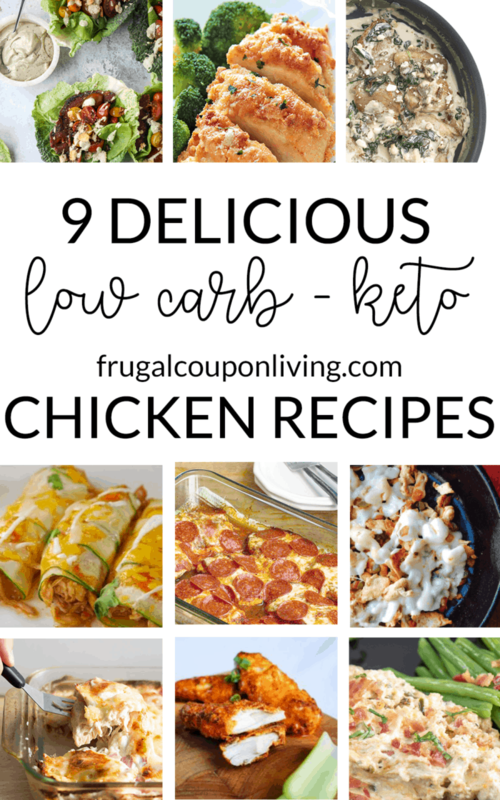 These 9 keto diet friendly chicken recipes are low carb and delicious. I looked for a good variety of styles and flavors so you can fill your meal planning calendar with chicken recipes. I bet they will even become some family favorites. 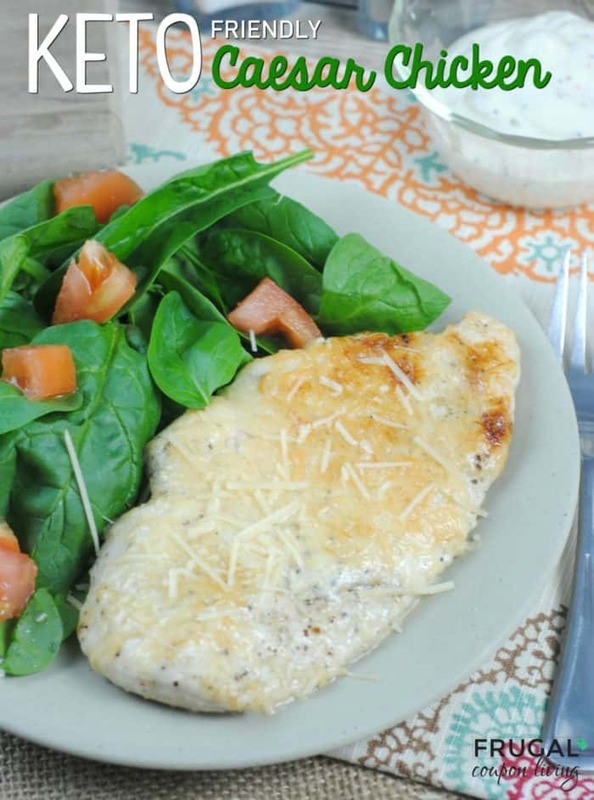 Baked Chicken Parmesan recipe from Cakes Cottage- you can’t go wrong with a good garlic and parmesan chicken recipe. Add some fresh veggies for a quick easy dinner. BLT Lettuce Wraps with Avocado Ranch by How Sweet Eats- Homemade avocado ranch, yum! 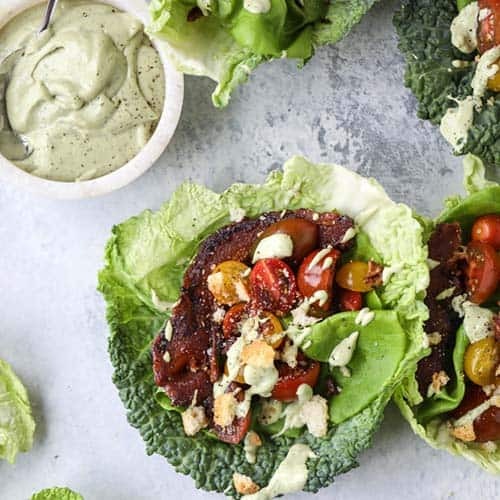 Top these BLT Lettuce wraps with some grilled chicken for a great fresh dinner for those hot summer nights. 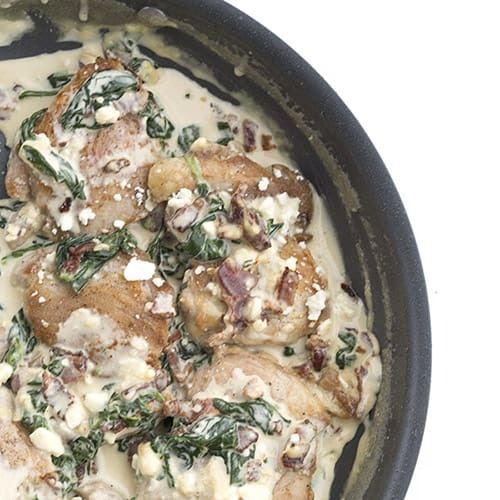 Creamy Bacon Spinach Feta Chicken by All Day I Dream About Food- I would never have thought to add feta to a chicken skillet but mixed with the smokey flavor of the bacon and the sweet flavor of the spinach added in the cream and it creates a nicely balanced flavor palette. Cooked in a skillet together and served over some zoodles you have a nice Mediterranean-inspired chicken dinner. 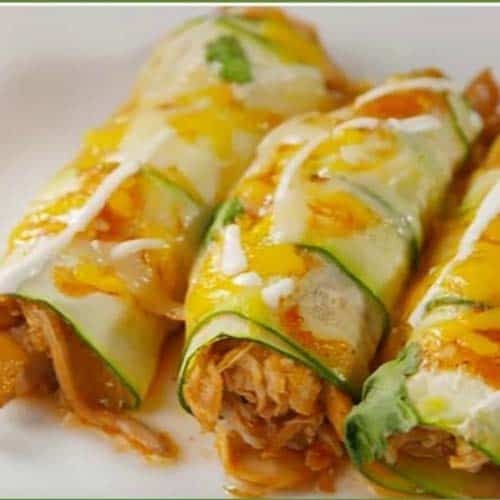 Low Carb Zucchini Chicken Enchiladas by Jodeze Home and Garden- There is no need to miss out on Mexican food just because you are on the keto diet. Just wrap your enchiladas in some thinly sliced zucchini tortillas. Low Carb Philly Chicken Cheese Steak Bowl by Easy Health Living- Thinly sliced chicken breasts sauteed together in a cast iron skillet with green peppers and onions topped with gooey cheese is definitely on my dinner list. Who needs carbs when you can eat a Philly Chicken Cheese Steak bowl. 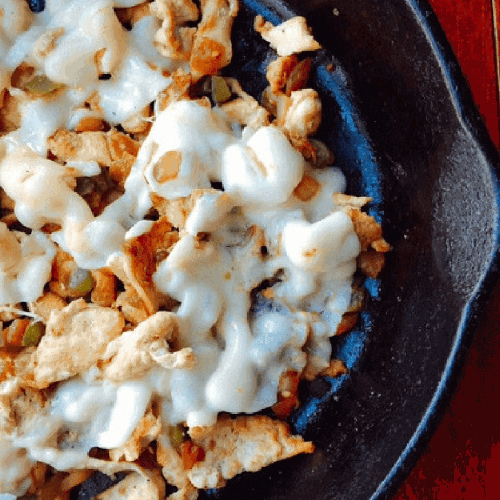 Low Carb Jalapeno Popper Chicken Skillet by The Kitchen Wench- Take the ingredients from our favorite party appetizer food and cook them up in a skillet with some chicken breast for a great dish to serve at a dinner party. Be sure to use fresh jalapenos for the best flavor. 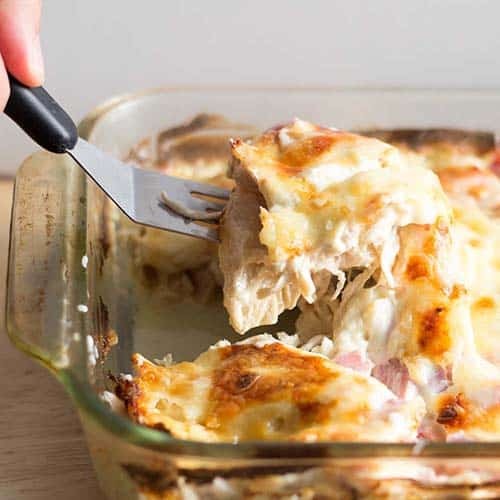 Low Carb Chicken Cordon Bleu Casserole by Joy Filled Eats- Traditionally chicken cordon bleu is made with breading but this version skips the breading and you won’t even miss the carbs. I love how the strong flavor of the swiss cheese complements the salty ham and the chicken in Chicken Cordon Bleu. 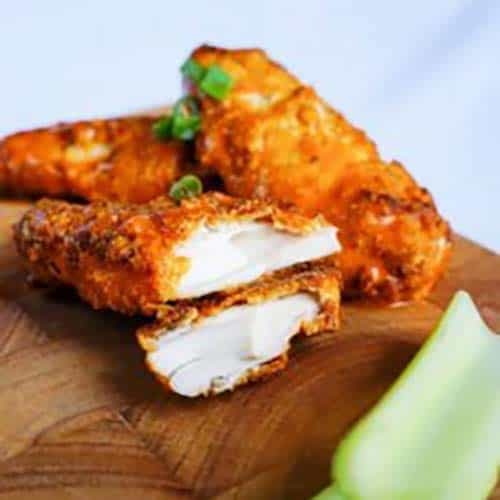 Baked Keto Chicken Tenders in Buffalo Sauce by Keto Connect- These chicken tenders are breaded with almond flour instead of the tradition wheat flour which keeps them low carb. After baking they are tossed in buffalo sauce. They would be great as a dinner or as a party food. 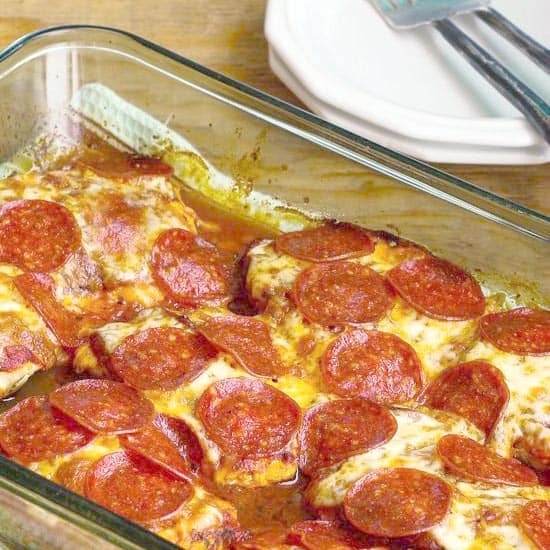 Low Carb Pizza Chicken Bake by Kayln’s Kitchen- Are you missing pizza now that you are eating low carb- keto? Satisfy your pizza craving with some pizza toppings on your baked chicken. Also, we love a good Caesar – how about chicken? Take a look at this Caesar Chicken Keto Recipe. Recipe on Frugal Coupon Living. 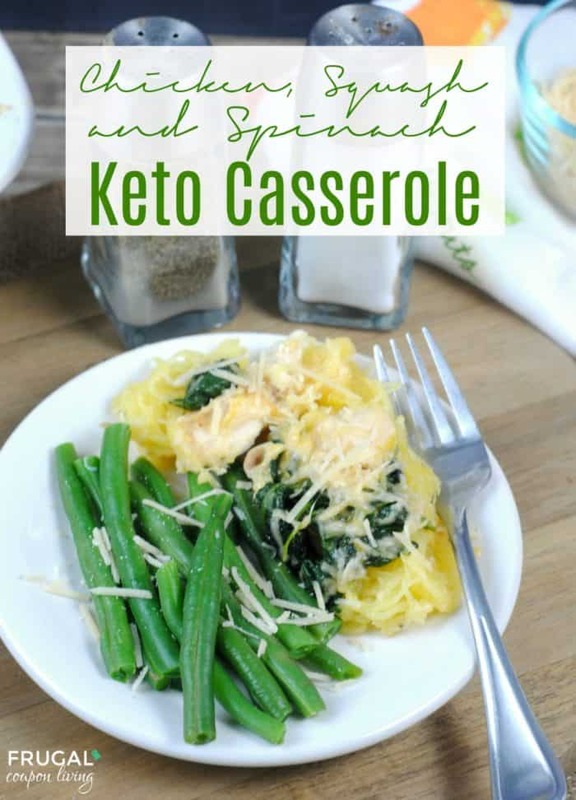 Need another Keto Recipe? 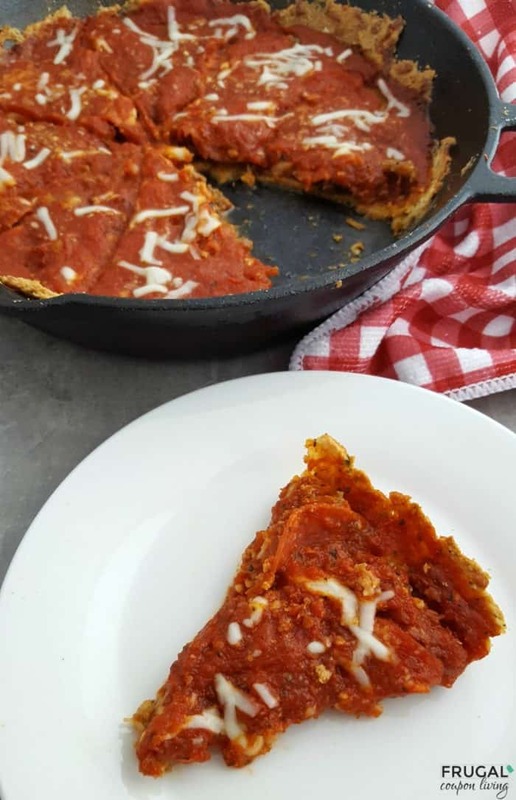 Take a look at this Keto Pizza Recipe (deep dish in a cast iron skillet). Pin to Pinterest. 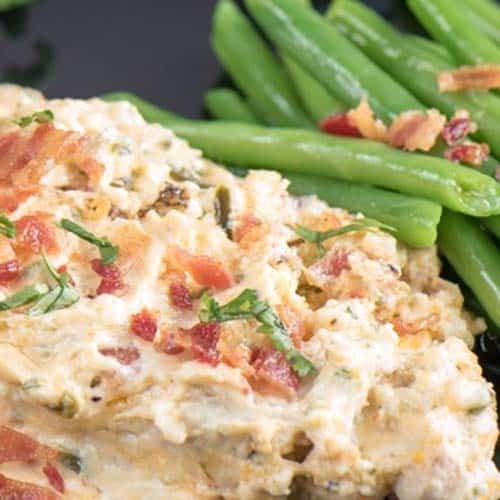 If you love chicken, take a look at this Chicken, Squash & Spinach Keto Casserole. Pin to Pinterest. 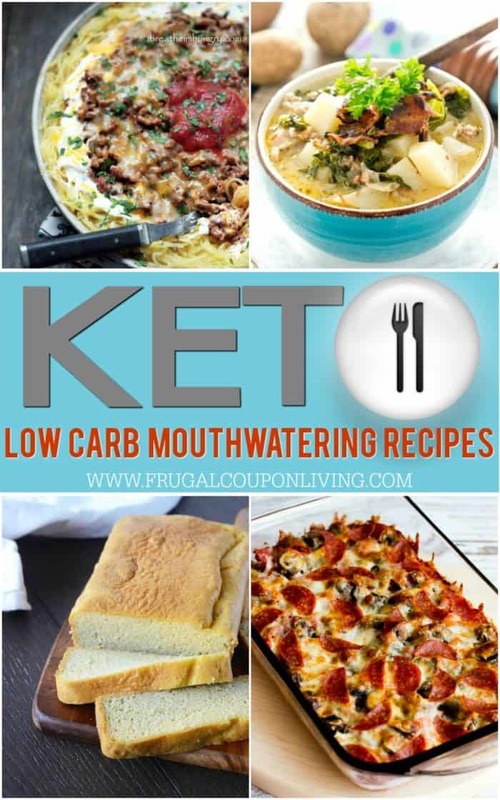 Also enjoy these Mouthwatering Low Carb Keto Recipes for the Entire Family. Pin to Pinterest. Have you tried Weight Watchers? 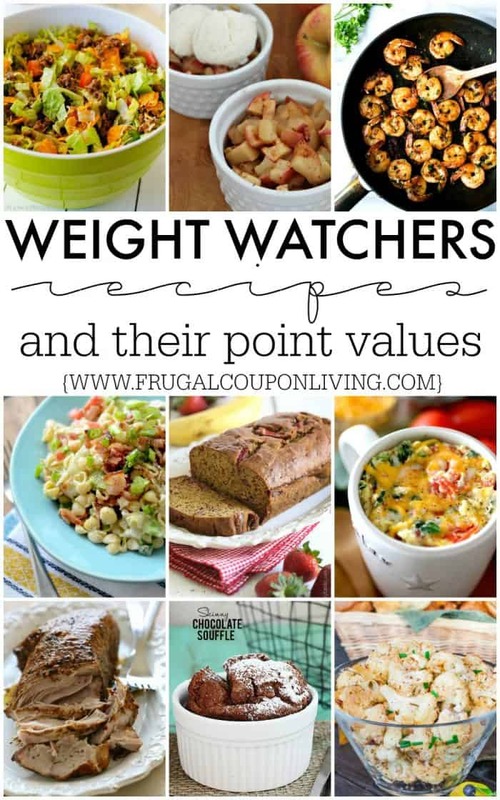 Look at these Weight Watchers Recipes and their Point Values. Pin to Pinterest. 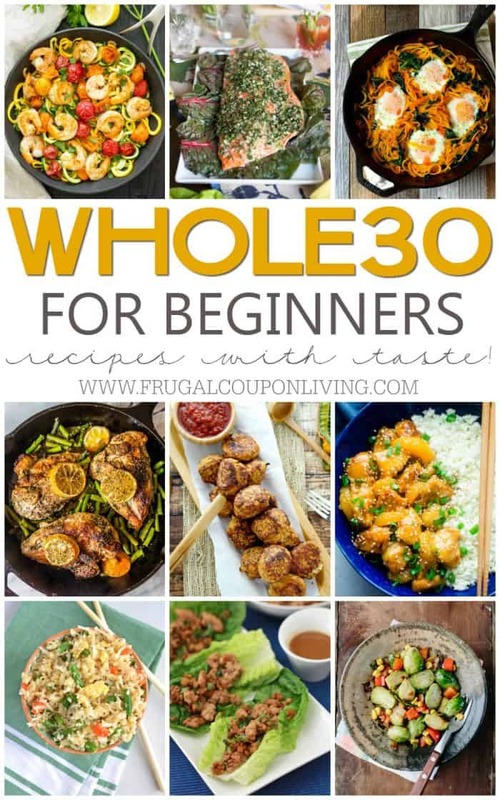 Don’t forget our popular round-up, The Ultimate Whole30 Recipes for Beginners. Pin to Pinterest. 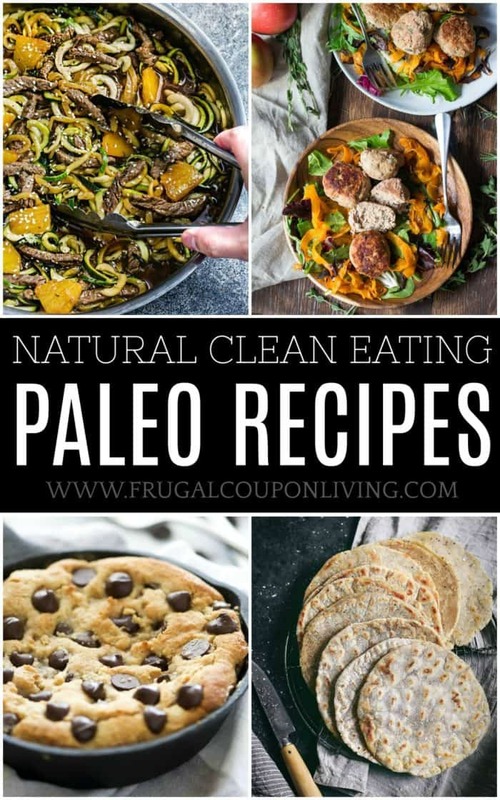 Enjoy these Natural Clean Eating Paleo Recipes. Pin to Pinterest.